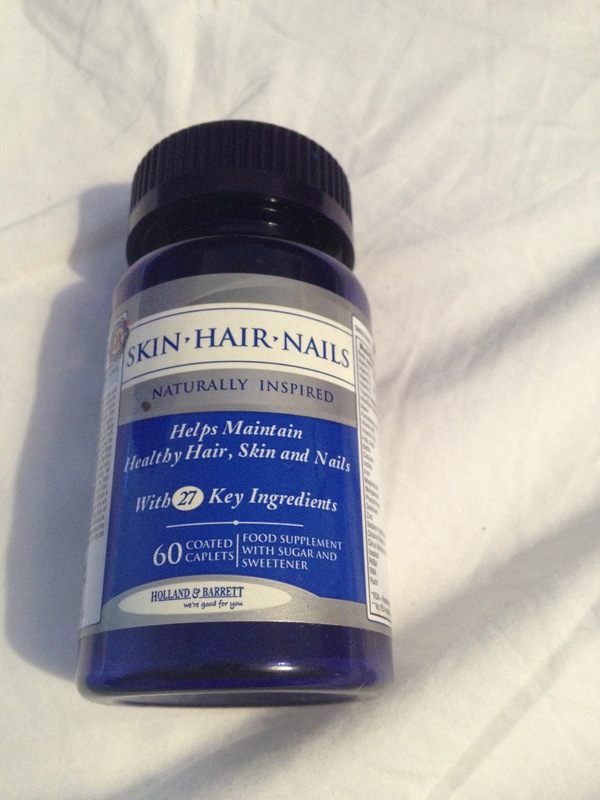 Holland and Barrett’s Skin, Hair and Nails is a formula which is naturally inspired to improve the growth and quality of your skin, hair and nails. In pill form, you are recommended to take 3 of the pills a day, for optimum resultsI started taking the formula last February, as my hair has never been in the best condition after years of heat damage and neglect. I also wanted to try the formula as I have minor acne, something that has failed to clear up after years of anti-biotics and medicated skin treatments and though perhaps something natural would work better. It’s now July and I have been taking 2 pills instead of the recommended 3, just to save on money, but the results are pretty good! I have noticed a big change in my hair – It seems to be growing faster and seems more stronger. I’ve always been inpatient with hair growth as I am trying to grow my hair out long, but this formula really sped things up!As for my skin, well nothings changed. Still spot prone and oily, but I knew in the back of my mind that nothing is going to fix that unless I fork out on high end skin serums and creams.But as an added bonus, my nails are stronger too! I’ve never really had a problem with my nails. I guess they were sometimes brittle, but my nails seem unbreakable now! I wasn’t even thinking about my nails when I bought this product! Good luck! All vitamins seem good quality these days but the one I am taking seems the best so far!